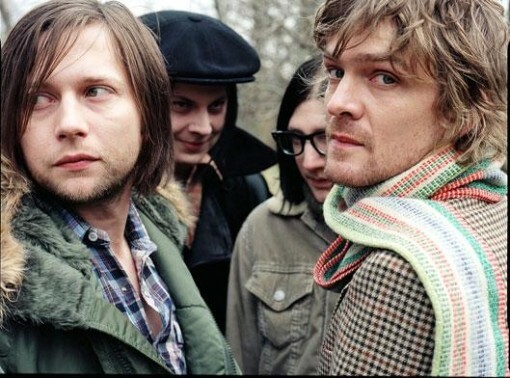 In an interview with NME last year Brendan Benson said: "We [The Raconteurs] haven’t talked about it but [doing more is] not out of the question. The Raconteurs is a band that was founded on this impulsive basis..it was always spontaneous for us and we want to keep it that way. So when the time is right and everyone converges we’ll do it". Maybe that time is now? The Raconteurs have just announced their first live performance in over two years. Consequence of Sound have pointed us in the direction of MI Fest which have Jack White and Co confirmed as headliners for the festival which will take place on September 17th at the Michigan International Speedway. Michigan is lucky. So, for now let's all cross our fingers and toes and hope that Jack White, Brendan Benson, Jack Lawrence and Patrick Keeler will announce some more dates for 2011 or start creating some more sweet music for our listening pleasure. We can dream right? One show is a start, a new album and a full tour is another. [Watch & Listen] TOBACCO - "Blow Your Heart (Demo)"